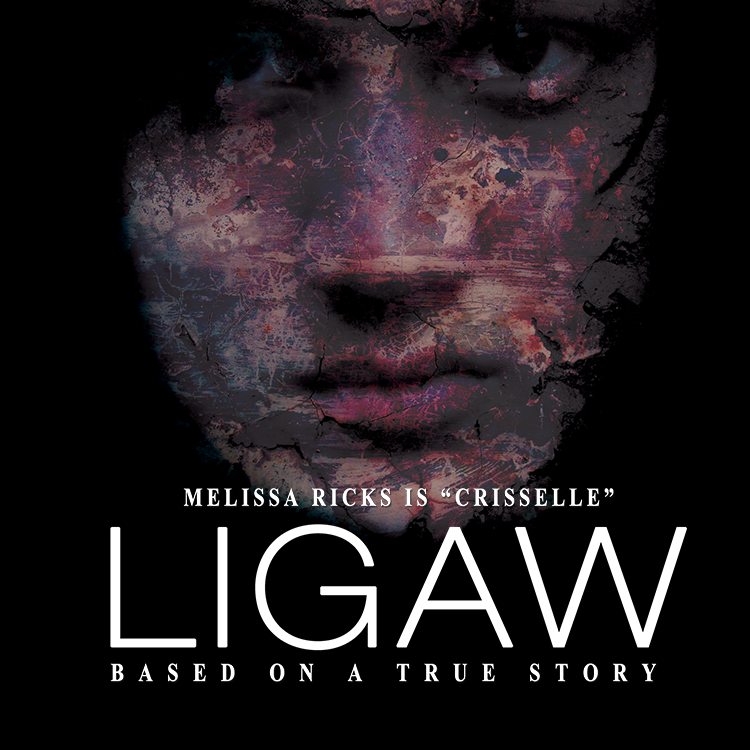 Ligaw (2015) is a story of Criselle delos Reyes (Melissa Ricks) who deals with her harrowing relationship experience with the devil, thinking that she could get everything she wanted (not necessarily material things) but to plant evil and do harm to others. Criselle thought that with the devil beside her, power and authority are hers to enjoy. It's actually a misconception that some people take to believe - that the devil can offer them everything they can wish for and imagine, not knowing the danger and consequence of that decision of offering their body and soul to the devil. It's a trap! This is a struggle not easy to bear for someone like Criselle who can be so vulnerable and weak. Harboring revenge that grows deep in herself cannot be in any way a solution to her problem but what she receives are her own beating and destruction. Her whole being can just collapse in an instant. But the only consolation that we can get, when we are tempted in this way, is that there is someone who can save us from this trial - a boxing match of good versus evil. Jesus Christ can save us all from this obstacle if we just accept Him in our heart and believe that He is our Lord and Savior. Paolo Endrinal Tesico's Ligaw is a well-crafted suspense-thriller film. The quality of this film is so high and compelling, showing a lot of promise. There are only a few local directors of this kind of genre who can scare you, move you, grip you and hold you on your neck - because the tension remains as the story unfolds. I like how how the writer-director has infused dreams in his story, and how instrumental it is in the life of Criselle's cousin, Mary Ann (Hiyasmin Neri) to learn that something terrifying is about to unfurl, and that Criselle's life is in serious misery, which they couldn't comprehend happening. Mary Ann could not understand why the scary image of Criselle in the woods keeps taunting her in her dreams, and why she saw a grave bearing the name of Criselle. This I find a very effective symbol in the story. Because death awaits Criselle for surrendering her life to the demon she trusted. Melissa Ricks did an outstanding performance and justice to her role as Criselle. Hiyasmin Neri and DM Sevilla are both a surprising revelation. Everyone in the cast is just so great and amazing to watch - Eva Darren, Crispin Pineda, Zeppi Borromeo, Rico Barrera, Nene Tamayo, Nanding Josef, Jude Matthew Servilla, Cynthia Macaraig, Darren Esmade and Jolo Atienza. The direction, camera work, editing, musical scoring and cinematography is just breathtakingly beautiful! Story and script was well-written. Ligaw is relevant, sharp, arresting and an effective piece of work. Direk Paolo Endrinal Tesico belongs to a new breed of filmmakers to watch out for. I'm very excited to see his future works. But don't just take my word for it. You have to see this beautiful film! 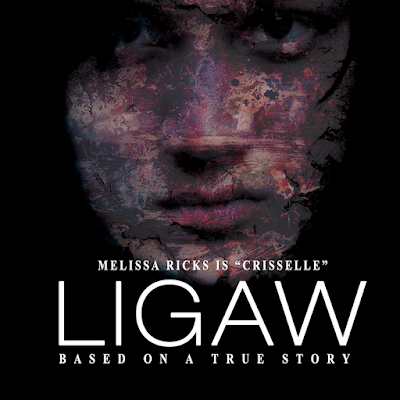 I saw Ligaw last February 25, 2016 (Thursday) as an exhibition film featured at the 3rd Singkuwento International Film Festival held at the Leandro Locsin Theater of National Commission for Culture & the Arts (NCCA). It is located at 633 General Luna Street, Intramuros, Manila. The 3rd Singkuwento International Film Festival has 2 legs: February 19-27, 2016 (Leandro Locsin Theater, NCCA, Manila), and March 2-8, 2016 (Cine Adarna, UP Film Center, UP Diliman, Quezon City). The next screening of Ligaw is on March 4, 2016 (Friday) at 7:30pm at Cine Adarna, UP Film Center. Hope you can catch this film. ANO ANG MASASABI NILA SA #LIGAWMOVIE?#ShareNow Ang award winning screenwriter na si Ricky Lee may komento tungkol sa #LigawMovie! Huwag Palampasin! LIGAW at the Singkuwento International Film Festival, Manila, Philippines March 4, 2016, 730PM, UP FILM CENTER, UP Diliman, Quezon City! Tickets for only Php 120 (at the venue)! Sugod na!